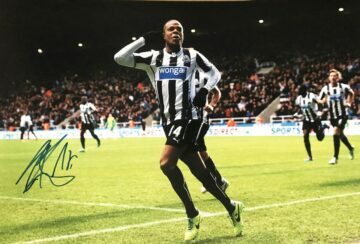 Shop for signed Newcastle United football team memorabilia including football boots, shirts and autographed photographs. 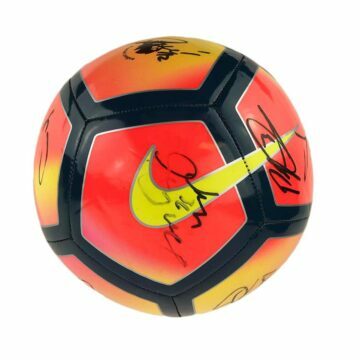 Most items come with a photo of the signing, All Newcastle autographed Newcastle United items come with a certificate of authenticity, free UK delivery and fast worldwide shipping. 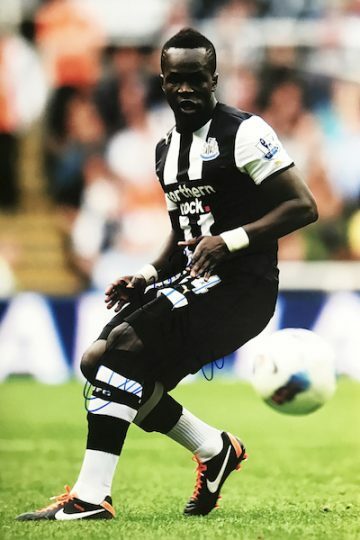 Looking for signed Newcastle United memorabilia? 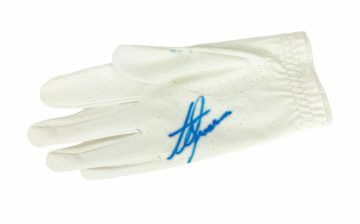 Firma Stella has one of the UK’s most exciting collections of signed Newcastle United Memorabilia, offering ephemera autographed by famous Tynesiders spanning the club’s 125-year history. 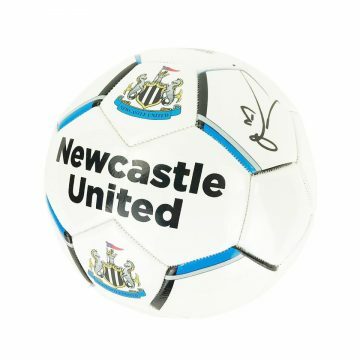 Newcastle United started out as an amalgamation of two football clubs, Newcastle West End and Newcastle East End in Newcastle Upon Tyne. Affectionately known by fans as ‘the Magpies’ thanks to their black and white strip, the team has consistently performed in the Premier League since its conception in 1892. In total they’ve claimed four League Championship titles, six FA Cups and a Charity Shield – as a result, they possess the honour of having the ninth highest total of trophies won by an English club. Club legend Alan Shearer holds the title for the most goals scored by any Newcastle player at 206 and most goals scored by an individual at 5, an honour he shares with several other players. The club has been based at St James’ Park for over 100 years. 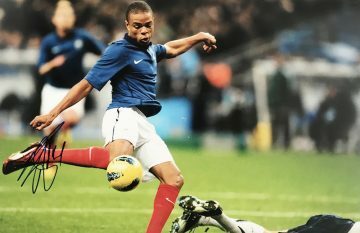 Their local rivalry with neighbours Sunderland is well-documented – with derbies hotly anticipated by their faithful Toon Army. Toonies really do go the extra mile for their club. A 2004 survey by Co-Operative Financial Services found that the equivalent distance travelled for fans who attended every single away game matched a round-the-world-trip. The Magpies held the third-average attendance for the 2011-2012 Premier League season – surpassed only by Manchester United and Arsenal.